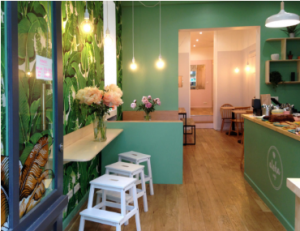 A nicefinding, the Aloha Café, « tropicool and kid-friendly coffeeshop » as it states itself. 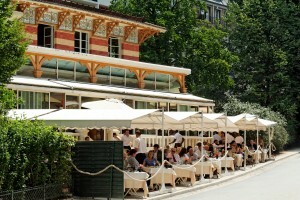 Located 2 steps from famous Moulin Rouge, you’ll enjoy coffees (of course !) and other drinks, home-made cakes, cookies and scones. For those who prefer salted savours, enjoy « quiches », bowls and scones. The place is 100% welcoming for families with its high chair, changing table, books and its children’s corner where they’ll play while adults enjoy their breakfast, lunch or snack. 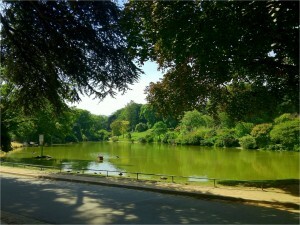 Parc Montsouris in Paris 14: great place for sunny days! Do you desire a getaway with your family in the South of Paris? Discover the Parc Montsouris, which is made like an English garden: 15 hectares of green spaces and 1.5 km in circumference in 17th district. There is a lack with ducks and swans over there, many ancient trees which host many birds, huge lawns for picnics or lounging. If you want to have fun with kids, you have the choice between swings and playgrounds, or you can also offer them a pony ride, a tour of rides, a puppets’ show or eat a crepe! And the best of all… There are toilets for kids! Finally, you can enjoy many free concerts from May to September. Opening times: from 7:00 a.m. to 9:30 p.m (May, June), 24/7 from July to September, from 7:00 a.m. to 8:30 p.m in September. 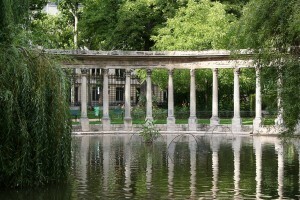 In which of these parks in Paris will you picnic with your kids? If you are you looking for a place where you can picnic with your family, and where your children can have fun while you enjoy a breathtaking view, we have what you need! 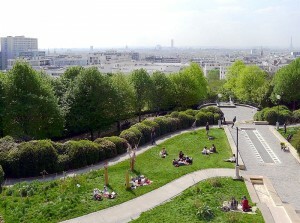 Here are 3 Parisian parks which perfectly fit these criteria. Park de Belleville: This one is full of green spaces, with 1200 trees and his lawn of 1000m², and is located in the 20th district, between the Buttes-Chaumont and Pere Lachaise. But you will find a very particular thing over there: a 30-meters-high terrace, from which you will enjoy a panoramic view of Paris’ monuments. Opening times: 7/7, from 8:00 a.m. (9:00 a.m. on weekends) to 9:30 p.m.
Park Monceau: Near the Champs Elysées, this park has remained unchanged since the time of Napoleon III. Enter through by the large gates of gold and wrought iron and you’ll be surprised by the quietness: the park is completely isolated thanks to the huge trees and luxury buildings that surround it. You’ll like to sit with your kids at the foot of the statues, or also let them romp in the playground, or during a fairground ride or a pony ride. 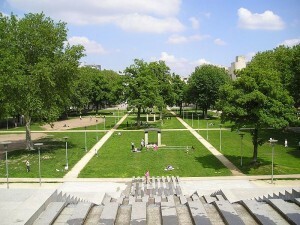 Opening times: 7/7, from 7:00 a.m. to 10:00 p.m.
Park de Bercy: This park includes 3 gardens along the Seine and is well-known for its huge expanses of grass, so you will not have trouble finding a place for a picnic with your family. Besides, the park has many facilities for children: playgrounds, carousels, pony rides, fountains and snacks to take away. 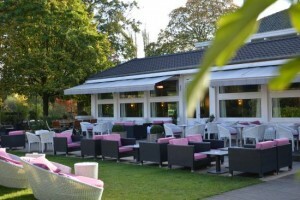 You can also go to the restaurant Les 400 Coups, which is very close to the park. Finally, two baby relays are at your disposal near Quai de Bercy.